The Virgin Islands is in for a treat this week as three-time Grammy Award Winning Latin Jazz great Edgar Abraham and Virgin Island’s Jazz Finest The UVI Jazz Ensemble get set to hit to the iconic “Jazz in the Park” stage from 5:30 p.m. to 10:00 p.m. in St. Thomas’ beautiful Roosevelt Park on Friday. Following a brief hiatus, the popular, free, community event, presented by International Capital and Management Company (ICMC), returns with a stunning line-up that is sure to please music lovers from far and wide. With a full cadre of top-notch talent on the line-up, this installment is sure to please. 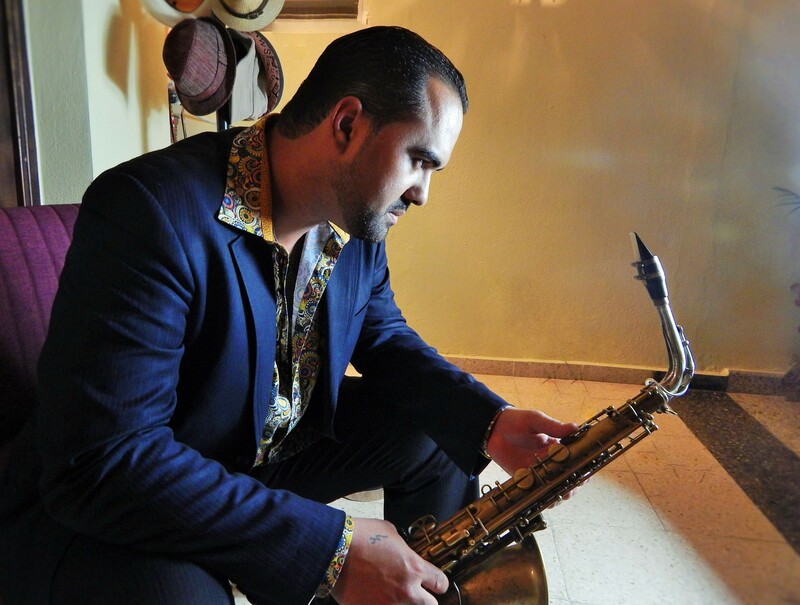 A saxophonist, composer and master of sixteen instruments, Edgar Abraham Marrero is undoubtedly one of the most prodigious and talented musicians in the industry. He began playing the violin at the age of three and at age nine began studying the saxophone. At fourteen, he made his professional debut with the Puerto Rico Symphony Orchestra. In 2005, he received two Emmy nominations for his TV special “Edgar Abraham at the Heineken Jazz Fest 2004”, and was nominated for a Grammy in 2007 in the Composer for Symphonic Choir category. He has also graced the stages of such prestigious entertainment arenas such as Carnegie Hall in New York and Ronnie Scotts in London. “We are delighted to have Edgar grace our stage and look forward to what we know will be a stunning performance,” says Nelson-Hughes. With sixteen solo releases under his belt, featuring some of the world´s foremost musicians, such as Eddie Gomez, Cheo Feliciano, Dave Valentin, Richie Flores, and Endel Dueño, Edgar’s enlightened musicianship ranges from symphonic compositions to avant-garde jazz improvisations. Having recorded his first record when he was 16, he is set to release his 20th production, “CARIBE,” a fusion of Caribbean rhythms, spiced with his classical influences in Spring of 2018. Our very own homegrown talent that makes up the prestigious University of the Virgin Islands Jazz Ensemble is also set to shine on the “Jazz in the Park” stage this Friday directed by Dion G. Parson. Comprised of UVI students, high school students, music teachers and musicians for our VI community, The UVI Jazz Ensemble features a wide variety of musical styles, while showcasing the musical talents of our Virgin Islands. But music is not all that attendees can look forward to for this event, as organizers once again welcome local artisans and small businesses as part of the traditional Vendor’s Row, that will offer a variety of local products, services and food and beverage options, as well as our Kid Zone that will feature complimentary entertainment and activities for our young guests. Additional key partners include: Heavy Materials, VIYA, The USVI Department of Tourism, Stella Artois, Dark Horse Wines, The Community Foundation of the Virgin Islands (CFVI) and The Reichhold Center for the Arts. For more information, call (340) 777-1302, email jazzinthepark@icmcvi.com and visit the Jazz in the Park Facebook page at www.facebook.com/JITPSTT.